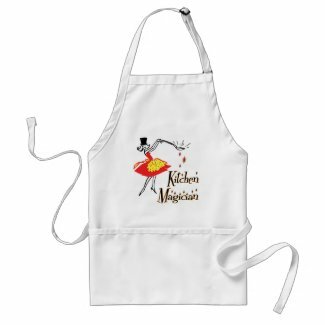 TOP 10 PERSONALISED APRONS UK. YOU EITHER HATE THEM OR LOVE THEM. BUT THERE IS NOT BETTER GIFT! IF YOU DO NOT LIKE THE FOLLOWING DESIGNS, YOU CAN ALWAYS ORDER ONE WITH YOUR DESIGN. 1. Stylish. Retro girl Apron. Nice choice. You can choose between colours. 2. This one is seductive. Just put it one when you are lazy…or…. 3. Wine is the answer. This is definitely your Friday ..and Saturday and Sunday Apron. 4. Kiss the cook….or she won’t feed you. Of course. We agree. Women give away their genius creations too fast! Grab this one, girl and support movement. No kiss, no food. 5. RETRO ART APRON. BEAUTIFUL. MAGICAL. 6. Ok. We could not stay away from this nice game and made our own Skinoholist Healthy Ingredient Apron. Blush.We are preparing for our big festive opening of Nutrisightly innitiative. That will include a massive amount (but easy to digest) information on foods that makes you beautiful. All based on scientific evidence. If you have any ideas how to support women knowledge nutrition and beauty link, let us know. Friendly innitiatives are the strongest. HOW TO STRAIGHTEN SHORT HAIR?